Have afternoon tea at The Dorchester, where the award-winning restaurants and bars are run by London’s most attentive and welcoming teams. 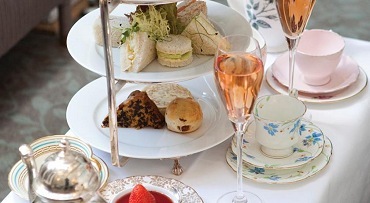 Enjoy a sumptuous afternoon tea at The Promenade, accompanied by a resident pianist. Indulge in the splendour of 1930s glamour and experience the best of modern British favourites at The Grill, or discover the finest three Michelin-starred French cuisine at Alain Ducasse. As one of the world’s most iconic hotels, The Dorchester is quite simply the place to be in London. Whether you are staying in one of the exquisite rooms and suites, unwinding in the spa, enjoying Michelin-starred cuisine or indulging in an award-winning afternoon tea, you will experience the epitome of timeless glamour. 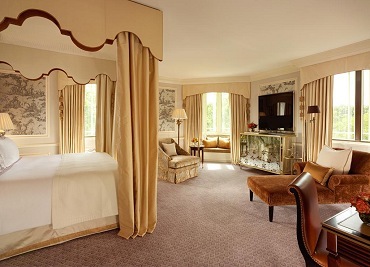 The Dorchester, which is superbly located in the centre of London and overlooks both Hyde Park and Mayfair, is a favourite choice of celebrities, world leaders, royalty and high society. Spacious, luxurious and elegant, each room features specially commissioned fabrics, antique furniture and exceedingly comfortable beds, while the white marble bathrooms feature the deepest baths in London. Alain Ducasse at The Dorchester is the only UK hotel restaurant with three Michelin-stars, putting its creative French cuisine firmly in London’s culinary spotlight. Alain Ducasse is one of the world’s most decorated chefs, having created innovative dining concepts that reflect international influences and earn him a reputation for phenomenal cuisine. At The Dorchester Spa, a beautifully designed oasis, there are nine spacious treatment rooms, a manicure-pedicure suite, a sleek relaxation room, male and female aromatic steam rooms and male and female experience showers. Indulge in signature spa treatments such as a Carol Joy London facial and an Aromatherapy Associates massage, then unwind in the glamorous Art Deco relaxation room before heading to The Spatisserie for a glass of champagne. 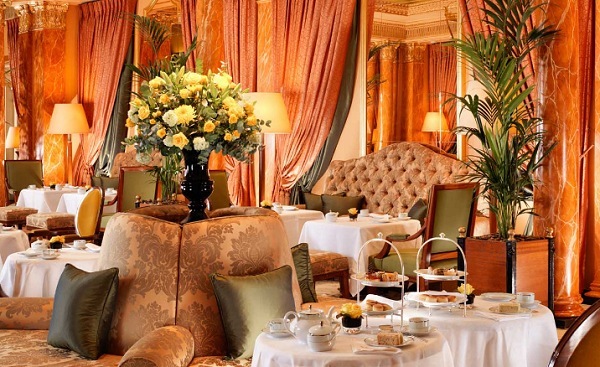 Since opening in 1931, The Dorchester has served thefinest afternoon tea in London. Experience this tradition at The Promenade at 1pm, 1.30pm, 3.15pm, 3.45pm, 5.30pm and 6pm (from Monday to Thursday) or at 1pm, 2pm, 3.15pm, 4.30pm and 5.30pm (from Friday to Sunday). From seasonal specialties to charming teas created with little ones in mind, each selection celebrates the best in British heritage. Whether you’re looking to book a romantic afternoon tea for two or mark a special occasion with your family, The Dorchester’s executive chefs have developed a selection of finger sandwiches, scones and sweet pastries, which are served fresh every day.